From Epic Battles – English Translation – a German language Epic Armageddon forum. The post is in German, but the Google translation does a good job of translating the construction of a massive Epic scale building. 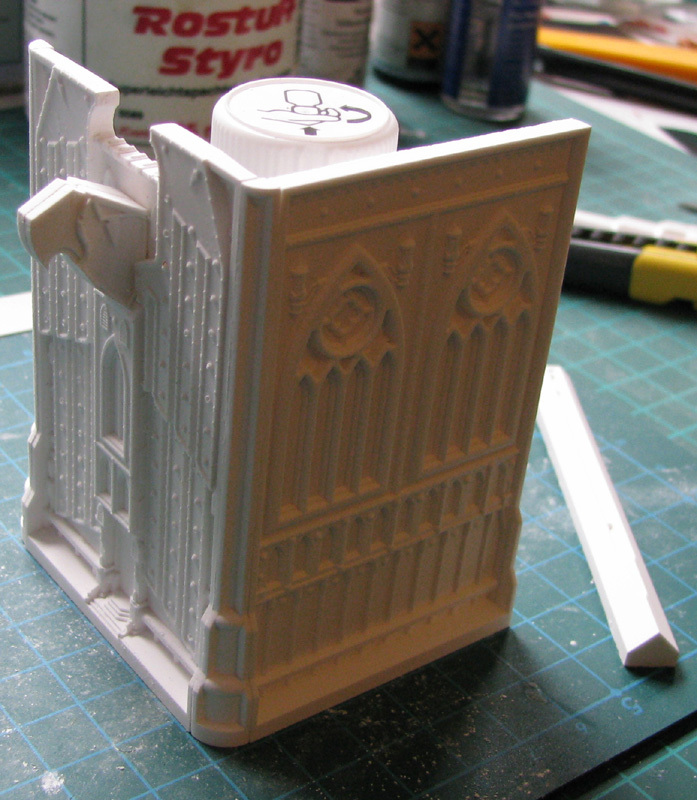 The cast parts pictured above are 3-4 inches high and could easily be used with 28mm figures. It appears the tiles were created using a 3D printer, then cast in resin. 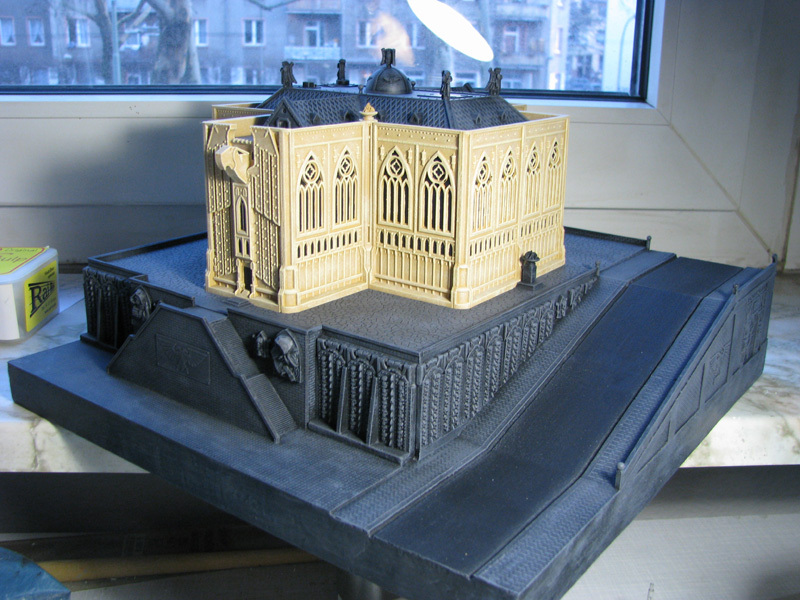 An ingenious combination of the small brick, industrial pipe and the machinery builder molds. The build is clean but well detailed – I’m sure it would fit well with a variety of near modern to steam punk settings. Tom’s forum is anything but boring. 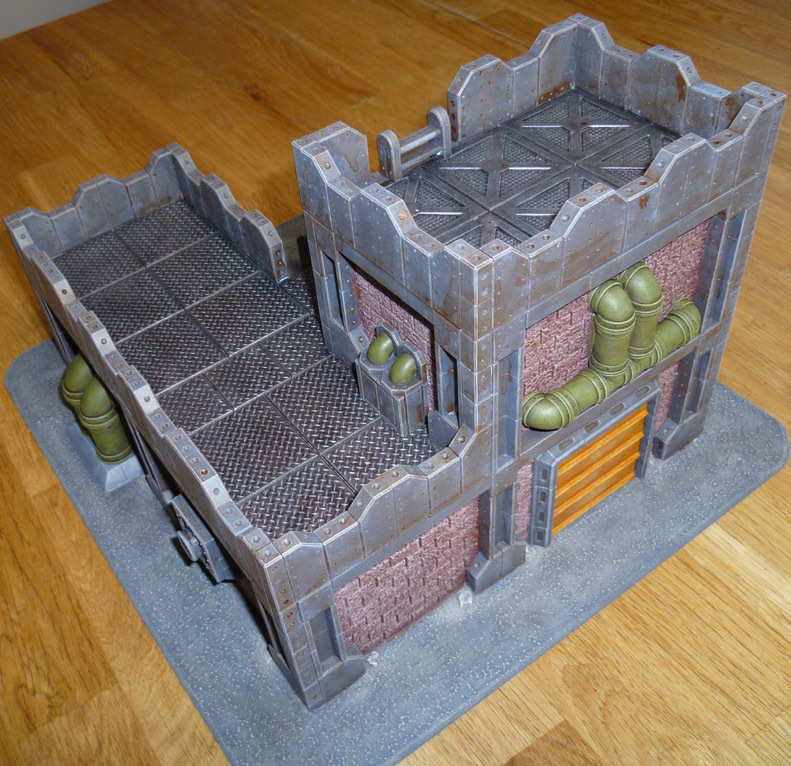 Go check out the Terrain building and Scenery Gallery for a number of well done Mordheim tables. This entry was posted on February 16, 2011, 2:43 pm and is filed under casting, Terrain, web sites. You can follow any responses to this entry through RSS 2.0. You can leave a response, or trackback from your own site.